I made this painting for Shelli, who has some really amazing shoes. These red patent leather heels are spectacular- they've got black velvet ribbon ties and heels that are almost a tulip shape. 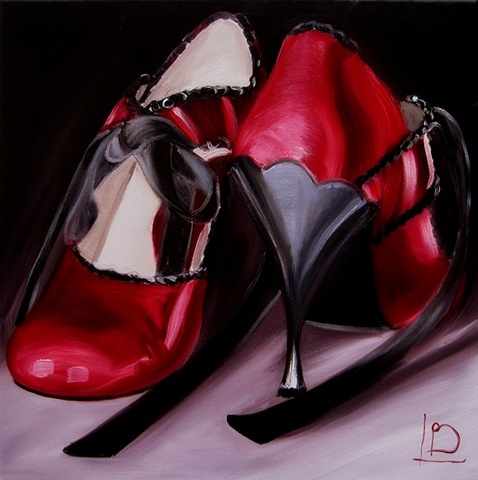 I've painted them with really strong contrasting shadows, which I think makes the whole painting feel more dramatic, and accentuating the vampish quality of the shoes themselves. If you'd like to commission a painting of your shoes, just let me know!